A 2 Day Virtual Training Designed For Women Leaders, Entrepreneurs, Business Owners and More. Press Release (ePRNews.com) - NEW YORK - Apr 15, 2018 - The Confidence Factor for Women presents The Pricing Mastery for Women Leaders. This is a 2 day virtual training for women leaders who need to gain more clarity on how to charge for their expertise and intellectual capital. The Confidence Factor for Women in Leadership is a global executive leadership firm, which focuses on diversity and inclusion initiatives for women in c-level leadership and high performance business models. Their work has been featured in the Huffington Post, Entrepreneur.com, Inc. Magazine, Forbes and more. In addition, The Confidence Factor has been the trusted keynote presentation and advisor for organizations such as Women in Government, San Jose State University, SHRM, Inc. Women, TEDx, and more. 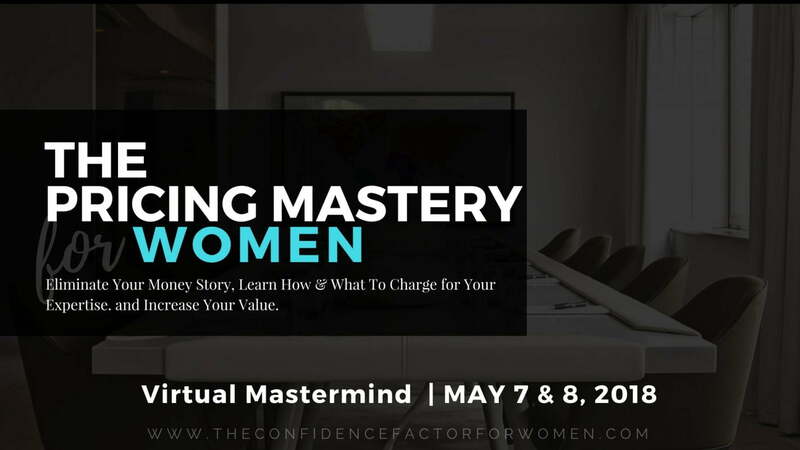 The Pricing Mastery for Women will be hosted live on May 7-8th, 2018 and features live Q&A directly with Carol. She will go through all of the steps to increase credibility and raise your prices to become market comparable.